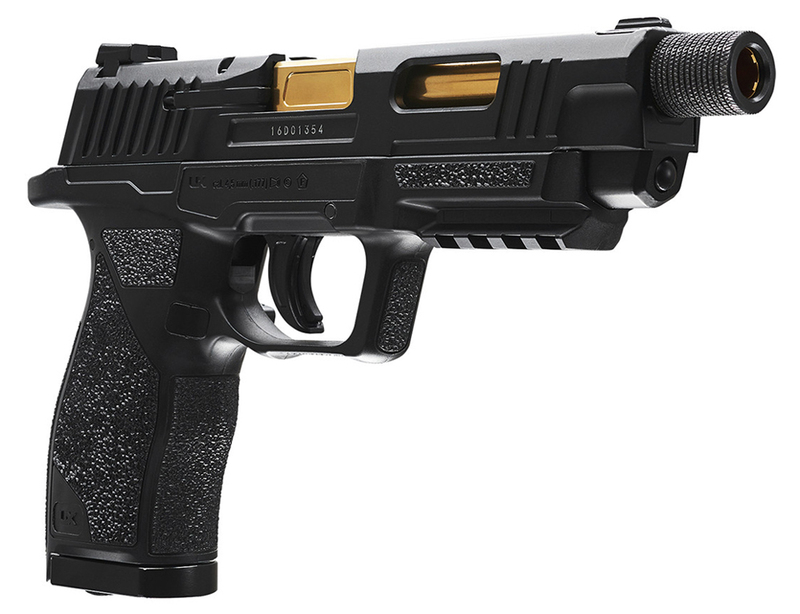 Comments: Go for gold with the Umarex SA10! 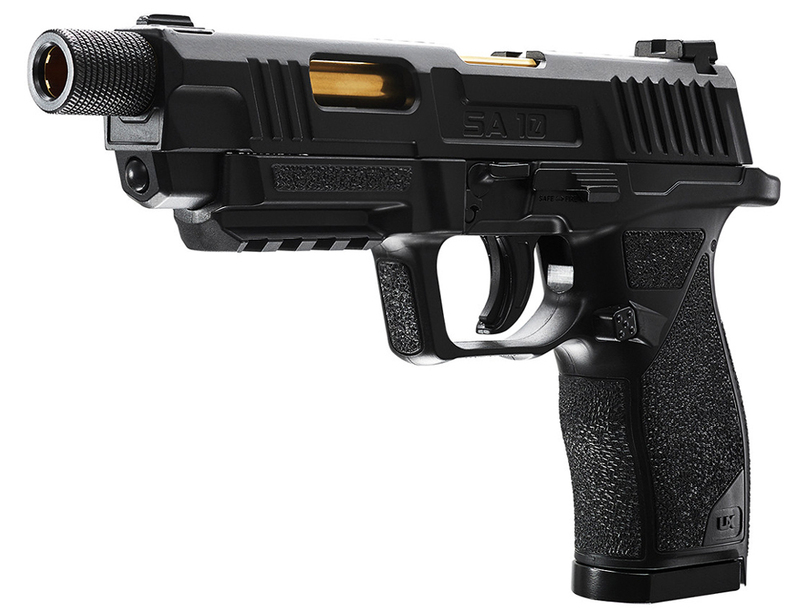 This dual-ammo pistol fires both steel BBs and .177 pellets at speeds up to 420 FPS with snappy blowback action. 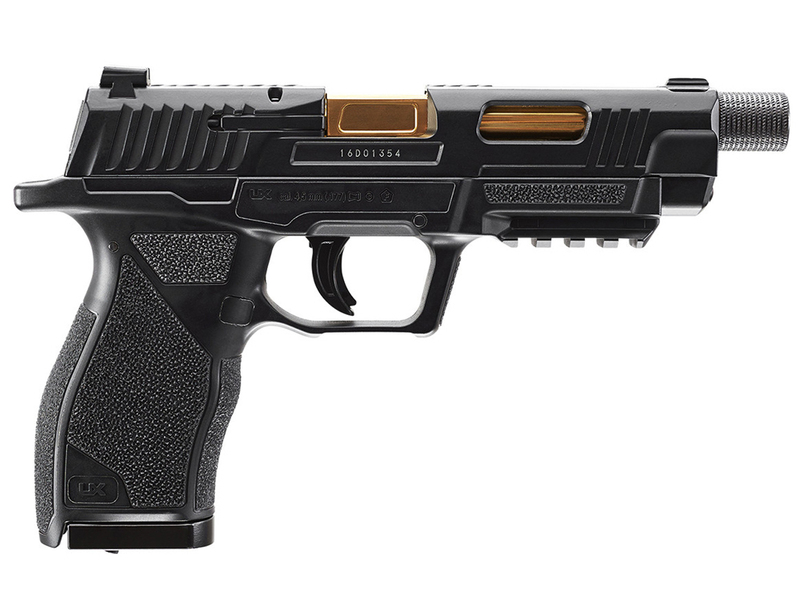 The unique design features a ported metal slide that reveals a gold rifled barrel and breech block underneath. 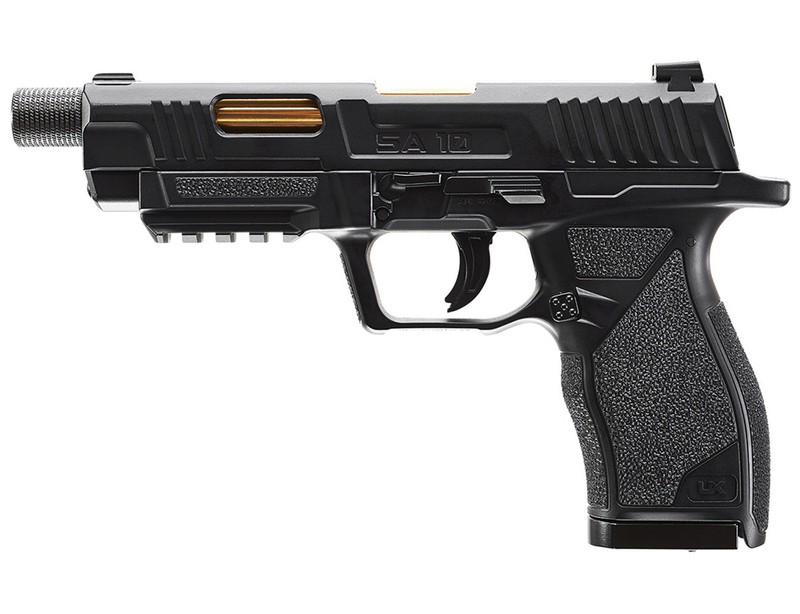 Along with the adjustable sights, you can dial in your aim by attaching a laser sight to the tactical rail. It uses a unique drop out magazine that holds four rotary clips, which makes reloading a breeze. We must push forward and so here is my first video back and it's a good one! 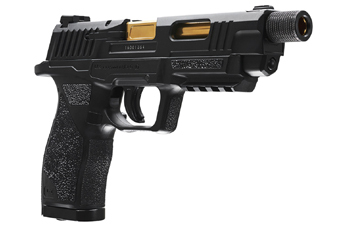 If you haven't already watched my Table Top Review of the Umarex SA10 CO2 Blowback Pellet and BB Pistol, make sure to check it out for details and some nice up and close video of this fine dual ammo CO2 air pistol. As always during my indoor Sea Can Field Test Shooting videos, I first test out the velocity of each gun. Since the Umarex SA10 CO2 Blowback Pellet and BB Pistol can shoot both 4.5mm Steel BB's and .177 caliber pellets I tested both ammo types using my Chrony Chronograph. I fired three shots of each ammo to get an average fps velocity. Interestingly the heavier 6.9 grain lead pellets had the higher average velocity of 376 fps versus 304 fps with 5.1 grain Steel BB's. I have a feeling the lead pellets fit the barrel more snug and did not let any of the CO2 blow by creating more back pressure and a higher velocity.